To avoid the consequences of discoloration and chemical dyes, Nature offers you a healthier and more natural way to colour your hair. Henna deepens and highlights the natural colour of your hair, covers grey hair, strengthens the roots and protects the scalp. 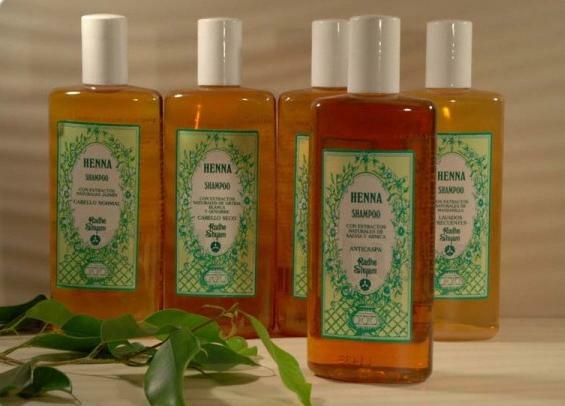 Henna and its properties were widely used in antiquity. Its warm tones embellished Antique Egypt women's hair. However, and regardless of all the hard work of the herbalists of the time, the colouring effects of henna were not completely controlled. 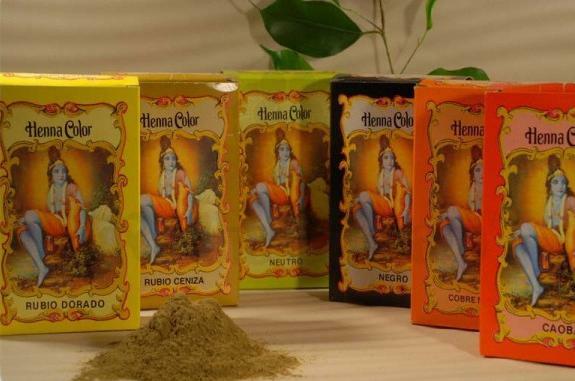 Nowadays, and after years of research, Radhe Shyam offers a complete range of natural colours based on the plant. Suggested use: Place the powder in a bowl, add three tablespoons of conditioner and mix. Dilute the blend with hot water until you obtain a smooth and creamy paste. Let it cool. Using the gloves, aply directly on dry hair, starting from the scalp to the tips. Wrap the hair in the plastic cap and a towel, clean the dye residues from the skin and let it act for about 3 hours. For a more pronounced effect of the colour, you may warm the hair using a hairdryer. After dry, rinse the hair with warm water to remove most of the colour. Use a Henna shampoo especially designed to strengthen coloration and conclude with a conditioner, massaging the hair for 1 to 2 minutes. In case of contact with eyes, rinse immediately with water. Keep out of the reach of children. Note: The use of Henna does not imply any previous discoloration. Its application aims to personalize your hair enriching it with more or less intense reflexes. The colours present in the diagram are only given for information purposes and as a guide. The colour structure of each hair is unique and the results are strickly related to its original colour. To note that the best reflexes are obtained with hair which has not been dyed. Do not use with blond hair coloured with chemical dyes. Contains a pair of gloves and a plastic cap. Product not tested on animals. External packaging made from recycled material.